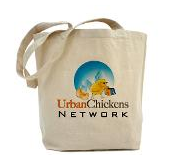 Urban Chickens Network blog: Provo Council Says Yes to Urban Chickens! Let's hear it for the Provo City Council's ability to work quickly to make urban chickens legal in their city again. Just a couple weeks ago, I wrote about the Provo Mayor exercising his first veto in years to strike down the urban chickens ordinance passed by the Provo City Council in a 4-3 vote. Mayor Lewis Billings had been in favor of urban chickens yet objected to the implementation of the ordinance. While I agree with Billings's principles, I was disappointed that he had to use his veto as I figured the matter would be lost in months and months of bickering negotiations before urban chickens would make it back to the front burner again. On May 19, the council passed, by a 6-1 vote, a revised ordinance that dealt with most of the objections of the mayor (there's a simple $15 registration fee, up to six hen chickens -- of all ages -- per residence, etc) leaving only the 15-foot clearance from coop to property line as an issue the mayor wasn't fond of. The lone holdout this second time around? Council Chair Cynthia Dayton. According to the Daily Herald, Dalton "said she voted against it simply because her constituency had expressed little interest in seeing chickens in their neighborhoods. 'Good luck with your chickens, people in Provo,' Dayton said." Good luck, indeed. Talk about distancing yourself from an issue. Seeing the challenges folks are having getting urban chickens legal in Stallings, NC and in Shorewood, WI and in Hollywood, FL, maybe our friends in Provo can share their luck with those less fortunate.